Everyone, who ever suffered with the blemishing marks and scars of inflammatory acne or other skin related issues, must have felt the need of highly effective, long-lasting, and safe solutions to get rid of all these blemishing signs. And, this need take them to the clinic of a specialist or dermatologist who can provide them with the best possible solution. Today, a number of beauty salons & skin clinics are making use of the latest skin treatments available in the market, out of which Chemical Peeling Treatment is one that many of San Diego salons are providing. It is a process in which the outer skin layer that is more prone to damage is exfoliated with a chemical solution, which offers a great way for new skin cells to get maximum exposure, resulting in fairer, glowing and gorgeous looking skin. Further, many of dermatologists or skin experts are also using this treatment incorporation with other technology or treatments, like derma filers, laser peeling, botulinum rejuvenation, etc. 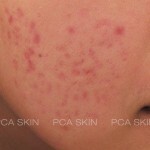 This treatment proved very effective for mild acne, wrinkles, hyper-pigmentation, aging spots and many other skin related issues. It further helps in enhancing the person’s overall appearance by nourishing the color & texture of the skin.